Catherine Park Estate is the latest unique development from Harrington Estates, the development group that has successfully delivered the award-winning Harrington Grove and Harrington Park estates. At the recent launch event, Harrington Estates shared the Catherine Park Estate vision with local guests and media at a stunning high tea garden party held within the grounds of the newly restored Catherine Park House. Harrington Estates’ Managing Director, Terry Goldacre, addressed the guests. Catherine Park Estate has been designed with careful and deliberate synergy between the architects, planners and builders to ensure it is both beautiful and functional. This means that it will be different yet entirely harmonious, with all of the various elements working together seamlessly. What's more, the promises of a master-planned estate will be carried through to fruition, making Catherine Park Estate a place that feels different, whichever way you look. Catherine Park Estate will epitomise intelligent design, set to be highlighted through a clever street layout, mature landscaping and a dual approach to housing. Residents will have the choice of homesites to build on - all of which will have a 13m frontage as a minimum and range between 400m2 and 600m2 - or alternatively can select a ready built home. The first precinct will be released in the next few months. Contact the Catherine Park Estate sales team on (02) 4604 6046 for more information and to register your interest. Harrington Estates is committed to continually delivering large blocks for our residents - block sizes all well above the Sydney and national average, according to a recent report. This year’s 2015 State of the Land report from the Urban Development Institute of Australia (UDIA) highlighted that Sydney block sizes have shrunk 11%, with the average medium new lot dropping to 450sqm. In contrast, Harrington Grove is defined by large home sites from 700m2 and all accentuated by the gorgeous bushland backdrop that is Harrington Forest. Harrington Grove’s commitment to fostering bushland conservation means that the large homesites allow for generous home designs without encroaching on the stunning surrounding greenery. Approximately 60 percent of the land of Harrington Grove will remain undeveloped to nurture the active regeneration and restoration of the ecological communities. Offering superior value and abundant space for a tranquil outdoor lifestyle, you could say that Harrington Grove is setting itself apart as an ideal place to live. This month we celebrate six years of enjoying the magnificent Harrington Grove Country Club. 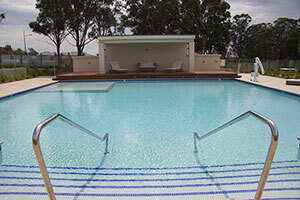 The Country Club welcomed its first guests in March 2009 and has grown in reputation for its lush bushland surroundings, extensive recreational facilities enjoyed by residents and their guests, and outstanding food and events delivered by Harringtons Bar and Grill and the Events Team. Harrington Grove Country Club also hosts business meetings and gatherings such as Rotary, Chambers of Commerce, and this year welcomed Prime Minister Tony Abbott for lunch. The Harrington Grove Country Club is an integral part of the social foundation of Harrington Grove and is the ‘heart’ of the community. 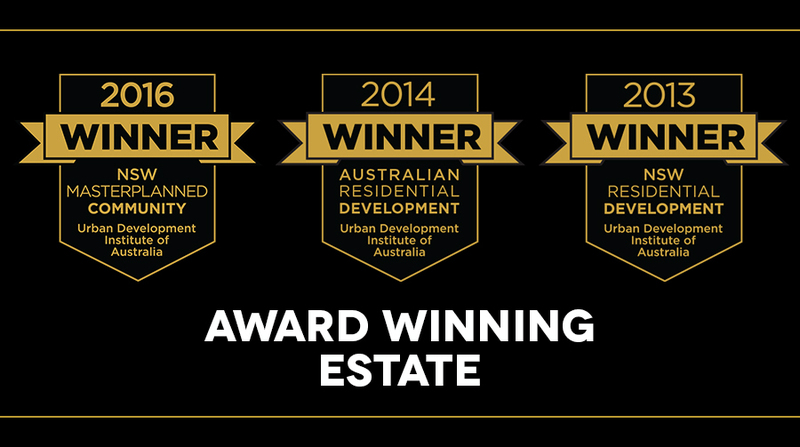 Given its importance to Harrington Grove, the Country Club was a large factor in the development being awarded Australian Residential Development of the Year 2014 by the Urban Development Institute of Australia (UDIA). This year has also seen an update to the sales office located within the Harrington Grove Country Club. Boards and maps have been replaced by interactive screens and new videos highlighting the many features of the Harrington Grove community. 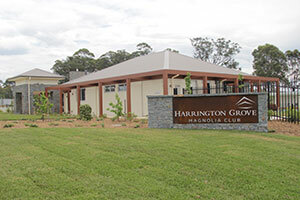 Harrington Grove Country Club represents the centre of the close knit community of Harrington Grove, and offers residents and their guests a destination of luxury to enjoy for many years to come. Michelia (Alba) is a highly attractive and evergreen tree with a vivid combination of bright green tropical leaves and beautiful white flowers that fill the air with their highly perfumed aroma. The tree will form a spectacular backdrop to the first release of 59 new homesites in Michelia, all of which exceed 700m². With easy access to The Northern Road and Cobbitty Road, Michelia has been developed with a fine balance of solace and convenience in mind. As with previous land releases, Michelia is designed to take the fullest advantage of the natural bushland, offering immediate access to the extensive pathways and cycleways that wind through the bushland areas for residents to explore. 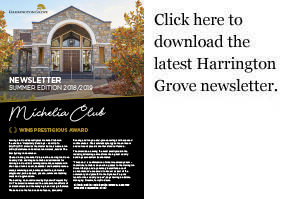 As summer draws to a close, residents all across Harrington Grove are singing the praises of the new Magnolia Club as a fabulous addition to the suite of Harrington Grove facilities. The neighbourhood centre, located on the corner of Wingham Avenue and Forestgrove Drive, is another destination for Harrington Grove residents. Inside residents will find large communal seating areas, a kitchen, the Alfresco Room, and fireplaces to set the tone for the cooler months. Meanwhile, the outdoor facilities include a swimming pool with spa seats and swim jets, a tennis court, barbecues and picnic areas, all of which were frequently used over the summer months. The planned children’s playground will truly complete the Magnolia Club. What could be better than spending hot summer days beside the refreshing pool, followed by a casual meal prepared on one of the barbecues and enjoyed at a picnic table? The attraction is not lost in winter either. It’s easy to imagine sitting in the comfort of the plush couches in front of the roaring fireplace while the wind and cold rage outside, a cup of tea in hand. 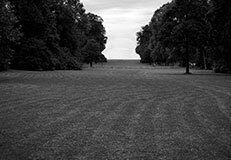 People wishing to secure a Laurina homesite are urged to act quickly, with less than 50 lots still available. Sales in the most recent precinct have progressed well, with many buyers commenting on the convenient location, bushland surroundings, Laurina Park and proximity to Macarthur Anglican School. It is also located just 300 metres from the planned Michelia Club. Residents and locals would also be aware of the host of road upgrades around Harrington Grove. The new roundabout on Cobbitty Road at the entrance to Laurina and Macarthur Anglican School provides residents with a safe and easy entry point to their new homesites, as well as providing better access for those entering the school grounds. Meanwhile the upgrade of Dan Cleary Drive permits better access to the Harrington Grove Country Club and Magnolia Club for residents right across Harrington Grove. Laurina is the seventh precinct to be released at Harrington Grove. Araucaria, Lomandra Rise, Maculata, Dianella and Magnolia have all sold out, while Wildfire has a limited number of homesites available and Laurina will be sure to sell out soon thereafter. Residents of Harrington Grove are ideally positioned to access the new South West Rail Link, with regular air-conditioned trains running from two new train stations at Leppington and Edmondson Park. Both stations offer free, untimed commuter car parking spaces. Trains will run approximately every 30 minutes between Liverpool to Leppington, stopping at Edmondson Park and Glenfield, with the journey taking around 15 minutes in each direction. Harrington Grove would like to extend our congratulations to those awarded with their Higher School Certificate (HSC) in 2014. 69,346 students were registered to complete their HSC program in 2014, marking the end of thirteen years of schooling for many youths in Sydney. 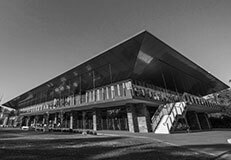 Macarthur Anglican School, located just across the road from the Laurina district, enjoyed another successful year with their graduating students as the Sydney Morning Herald ranks them as 67th in NSW according to Band 6 results. For many of these graduates, this marks a new era in their lives as they step towards tertiary education or a place in the workforce. Harrington Grove wishes these graduates all the best for their future endeavours, in whatever path they may decide to undertake in their adult lives. Both residents and developers agree that Harrington Grove is one of the best addresses in Sydney, and it’s not without reason. Choosing to live amidst the gorgeous leafy surrounds of Harrington Grove will introduce you and your family to a quality living environment that’s accentuated by a wealth of facilities and a sense of communal belonging that’s unmatched in Sydney’s Inner West. This, coupled with Harrington Grove’s premium home sites, make a home at Harrington Grove an unrivalled choice for premium land in the Macarthur region. The land for sale at Harrington Grove is truly spectacular; large home sites are accentuated by a gorgeous bushland backdrop that boasts natural brooks and streams. In fact, the average block size at Harrington Grove exceeds 800m2, allowing for larger homes to be built without endangering the surrounding greenery. This is thanks to Harrington Grove’s ongoing commitment to fostering bushland conservation, wherein approximately 60 percent of the land will remain undeveloped to nurture the active regeneration and restoration of the ecological communities. The Harrington Grove Masterplan involves the development of eight distinct precincts, all of which will enjoy the luxurious facilities and stunning bushland backdrop of Harrington Grove. Our latest land release is Laurina which is located in the western region of Harrington Grove, off Cobbitty Road. Residents of Laurina will relish in the assortment of Tristaniopsis Laurina that bloom across the district and the planned Michelia Club neighbourhood centre. The team at Harrington Estates wishes everyone a very Merry Christmas. We hope you’ve enjoyed all the Christmas festivities around the Harrington estate. Now, it’s time to wind down and spend some time with friends and family as Christmas Day comes upon us. 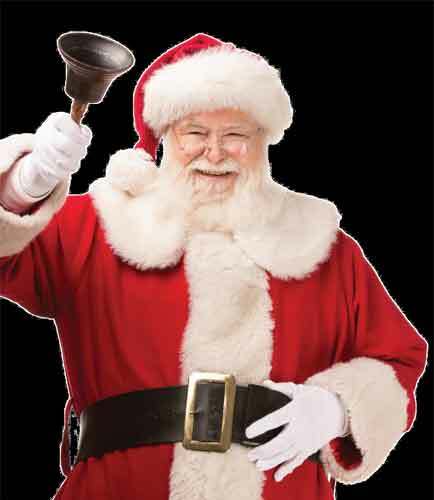 Don’t forget to leave out the milk and cookies for Santa! Merry Christmas, everyone! It’s that time of year again at Harrington Grove, and we’re ready to rejoice with you in the festive season with some wonderful activities for our lovely residents. 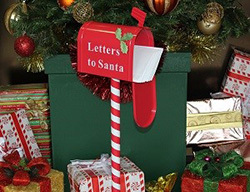 Bring your Christmas cheer to the Residents Christmas Party this Saturday, the 13th of December, at the Harrington Grove Country Club! 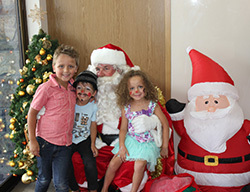 Along with a scrumptious traditional Christmas feast, attendees will enjoy a number of activities suitable for all ages. Harrington Grove’s latest land release, Laurina, is now available! Set amongst the lush natural bushland and magnificent leafy outlooks that adorn Harrington Grove, Laurina offers the ultimate balanced lifestyle for every family. Located off Cobbitty Road near The Northern Road in the newest part of Harrington Grove, it provides easy access to the Macarthur Anglican School and the wider community. Residents will have access to the newly constructed Magnolia Club, along with the planned Michelia Club, just 300m down the road. Residents of Laurina will also enjoy access to the tennis courts, swimming pools, gym, amphitheatre, Harringtons Bar + Grill, neighbourhood centres, pathways and cycleways. It was with great excitement that the Harrington Grove team welcomed residents to the new Magnolia Club on Saturday 15 November and Sunday 16 November. The weekend allowed residents to get their first experience of their new neighbourhood centre along with instructions on how to make the most of the facilities on offer. The Magnolia Club will provide all Harrington Grove residents with another lifestyle destination. Smell the sausages cooking on the barbecue. Listen to them sizzling on the hotplate. Salivate at the anticipation of the first bite. Imagine the coolness of your first dive into the pool. The summertime opening has been carefully timed to provide residents with the chance to enjoy the range of facilities to the fullest. The Magnolia Club also has a range of different living spaces to suit the tastes of all residents. 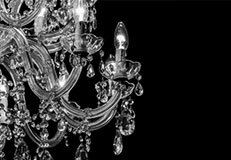 The entire club has been carefully appointed with style and comfort in mind, ranging from the kitchen to the outdoor living spaces to the alfresco room. The outdoor pergola and patio areas provide the best vantage points from which to capture the scenic surrounds. The weekend proved to be a great opportunity for residents to welcome summer and become familiar with the bounty of new facilities on offer. Melbourne Cup 2014 was celebrated in lavish style at Harrington Grove Country Club. Guests were greeted with a glass of bubbles and tantalising canapés that included smoked salmon with sour cream and chives on potato blinis, marinated pork belly with caramelized pineapple and mini brushetta on sourdough. They were then treated to a two-course meal; mains included alternate lamb rack and salmon fillet, and the dessert was a tantalising choice between lime tart and white chocolate mousse that was specially designed for the day. WHY IS IT CALLED THE LAURINA PRECINCT? Harrington Grove recently announced the new Laurina land release, located west of The Northern Road and south of Cobbitty Road. But where did the name Laurina come from for the latest release? Vegetation is so incredibly important at Harrington Grove that approximately 60 per cent of the land will remain undeveloped as part of our commitment to fostering bushland conservation and environmental responsibility. This particular section of Harrington Grove is fortunate to have an array of Tristaniopsis Laurina (which are also known as Water Gum or Kanooka), a tree species native to Australia. 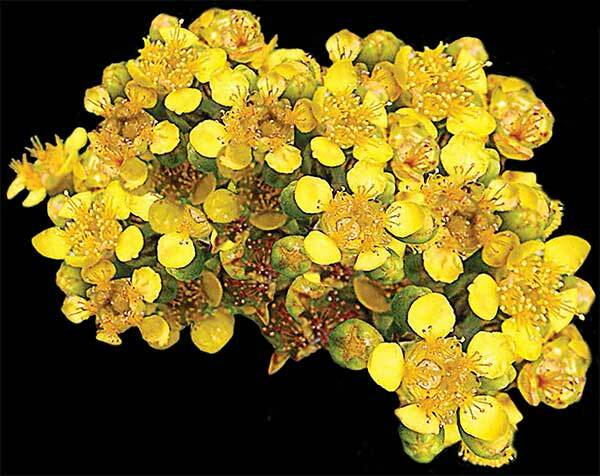 The yellow flowers of the Tristaniopsis Laurina are bright and usually bloom in the late spring or early summer. Tristaniopsis Laurina is a popular tree for the fact that it is easy to grow and forms a good shade tree. Spring is a truly special time of year at Harrington Grove as the early wet weather gives way to beautiful warm and sunny spring days that can be enjoyed on the lush green lawns of the Harrington Grove Country Club. And Sundays at Harrington Grove Country Club are especially enjoyable when spent relaxing in the grounds or poolside before enjoying a meal with friends and family at Harringtons Bar + Grill. 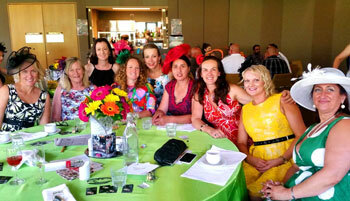 Enjoy Australia’s biggest race in the luxurious surrounds of Harrington Grove Country Club. Harrington Grove Country Club is a spectacular venue to enjoy the Melbourne Cup on the big screen with friends and colleagues at our special luncheon which, in reality, goes all afternoon. Allow yourself to be spoilt from the moment you arrive at the Country Club where you will be greeted with a glass of sparkling wine and canapés. 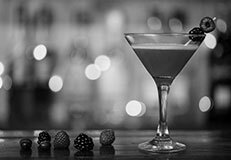 Enjoy a sumptuous two-course meal served in our grand function room complete with big screen to showcase the main event of the day. With school holidays upon us, Harrington Grove is once again offering residents’ children the chance to keep busy, active and make new friends at the Harrington Grove Tennis and Sports Camp. Previous Tennis and Sports Camps have been a huge success with children of all ages practicing their tennis and sporting skills and making new friends. The camp teaches children about the fundamentals of tennis and there are mini courts so the little ones can learn. With soccer and other games played too the camp is a social, active and fun way to spend the holidays. It is now easier than ever to visualise the finished Magnolia Club, with the completed building creeping closer. The latest images (in the gallery below) illustrate the building and its surroundings taking architectural form as completion draws nearer. The chimney and entry features are nearing completion. The handcrafted stone will add warmth and a pleasing visual aesthetic – you can already imagine spending chilly days relaxing in front of the roaring fire! The tennis courts are almost ready for the synthetic grass surface to be laid. The pool has been excavated and the concrete shell has been laid. The roof has gone on, providing the best indication yet of what the finished product will look like. As one of two neighbourhood centres, Magnolia Club will act as another destination for Harrington Grove residents to relax and unwind; a nearby home away from home. The annual Harrington Grove Spring Fair was back on Sunday 31 August for another year of outdoor fun within the picturesque surrounds of the Harrington Grove County Club. Building on the success of last year, this event was aimed at bringing families and communities together, sharing the glorious outdoors and promoting and supporting local businesses in the Macarthur region. More than 600 people came from near and far to enjoy the spectacularly sunny day. 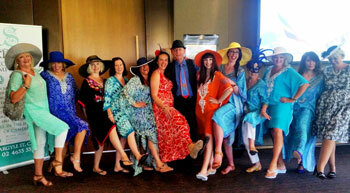 It was a fabulous celebration of the Macarthur region’s bounty of fine talent, produce and spirit.